Photos from Dennis Kuehling Collection unless otherwise noted. 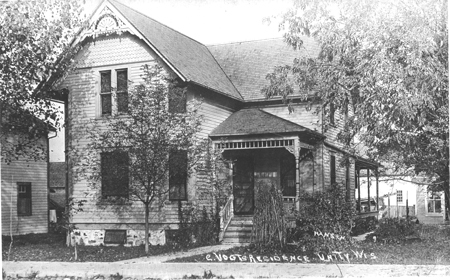 Ransom H. Brown Residence, 210 East Church Street. 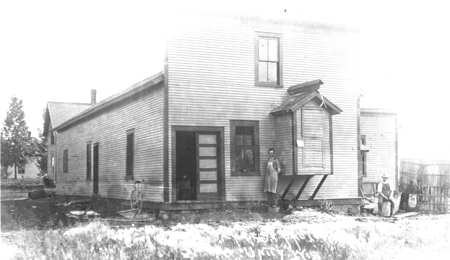 Most likely the oldest home in Unity. It was said the two story part was built out of one white pine tree. 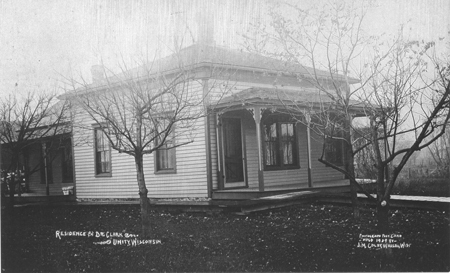 Later was the home of Calvin and Delores Cook. Owned now by C. Maldonis (2013). J.W. 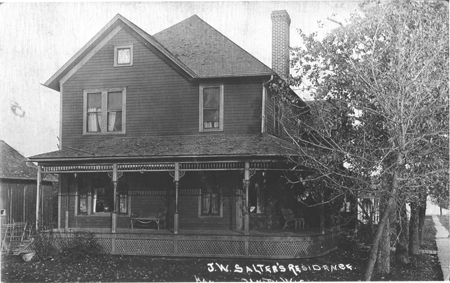 Salter residence on East Cook Street. 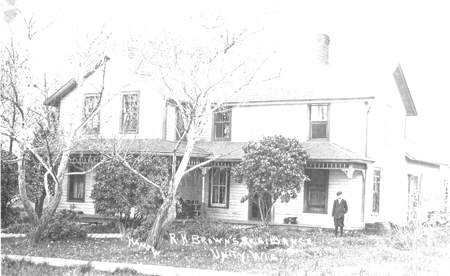 It was demolished by Leo Bloom as he built a new home on the site. J.W. 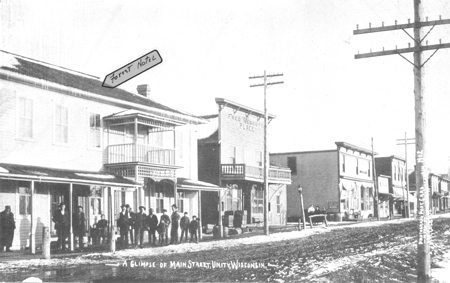 was an early Unity resident, high school principal, land speculator and store proprietor. Chris Vogt Residence Front Street Unity, Wis. Burned in the 1917 fire. Approximately where the Virgil & Bea Decker home is today (2013). 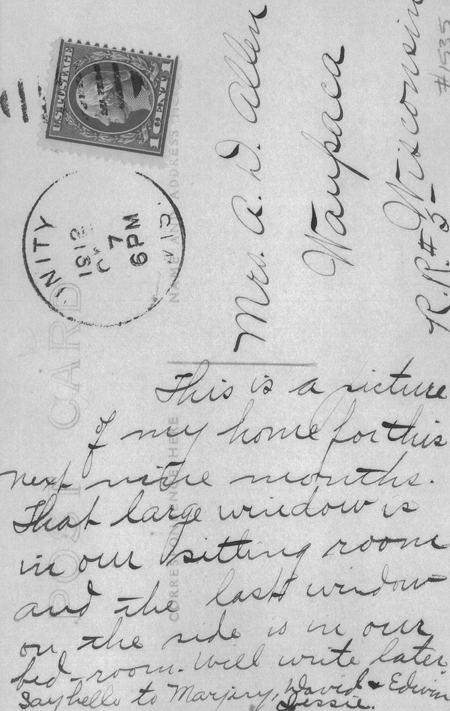 Appears to be a barn in the right rear. Hotel Nelson - Front Street, Unity, Wis. 1912 Built and operated by Chris Nelson. He worked as cook in the early Unity area lumber camps. 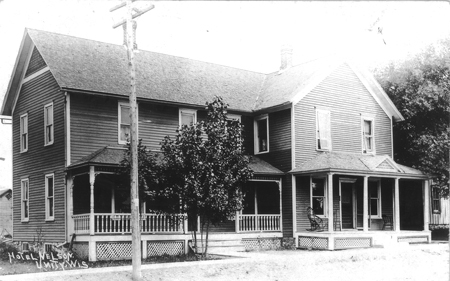 The hotel was located north of the present R&R Auto about where Dennis Safemaster's residence is today (2013).